Recently, I have noticed a new trend among those claiming Cherokee ancestry--"ancestor stealers". 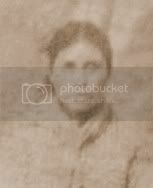 Instead of providing a well researched, documented family tree to verify their ancestry, quite a few people are now basing their "Cherokee ancestry" on fabricated family trees. These trees quite often have the names of real Cherokees in them, but there is no connection between the Cherokee and the person who put the tree together. For example, I saw a tree this week from a person who claimed to be the descendant of the well known Cherokee Nancy Ward. At first glance, the line of direct descendants seemed fine, until you noticed that Nancy Bean, a real descendant of Nancy Ward, was listed as the mother of William E. Bean., the tree creator's great great grandfather. The problem with that information is that all of Nancy Bean's children had the surname Johnson, her married surname. The family is extremely well documented and Nancy Bean Johnson had no son named William, let alone one named William E. Bean. Normally, I might think the mistake was an honest one, but in this case, I don't believe it was. The woman the tree belonged to is touting herself as a person who is revitalizing and teaching the Eastern Cherokee language dialect. She gets involved in anything she sees online that says it is Cherokee. Her daughter has won an essay award meant for Native American children and has started crafting Indian style items. This woman has several fabricated family trees online where she makes it look as if she does descend from a Cherokee from very distant history. It seems no matter what it takes, she is going to try to convince people she is a Cherokee. Often I am asked why we Cherokee people get so mad about wannabes. Well, the example above is one of those reasons. Unless you are truly a Native American, I don't think most people can begin to understand the length some frauds will go to in order to try to claim to be one of us. 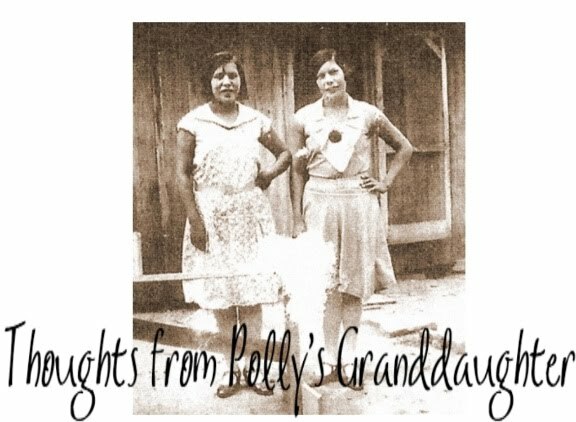 We understand that there are some people who truly just want to learn their ancestry, but we are also aware of many people who don't care what their actual ancestry is--they are going to claim to be Cherokee, no matter what they have to do--even if that means stealing someone else's ancestors and claiming them. This makes the true descendants of that person angry. If you are researching your ancestry looking for verification of a Cherokee family story, please only use information that you can support with documentation. Be extremely wary of ANY family tree you find online. You don't know where that information came from and you don't know the goal of the person who posted that tree. Even if they are not an "ancestor stealer", they could be very bad at genealogical research. No matter who your ancestors were, whether they were Cherokee or other, they deserve to be remembered and honored by you. By claiming someone other than those you actually descend from, not only will you be an "ancestor stealer" but also denying your true ancestors the place in your family history they deserve. Thank you for this posting. I look forward to following your work! I appreciate what you said above about ancestor stealers. I personally have a difficult time understanding why someone would fabricate a family tree, but for fame, and possible fortune, I guess (some) people will do anything. My aunt told my mother when I was in high school that we were part Cherokee. I doubt that I will ever locate or know which branch to look for, though, and suspect that we really are part Native American, but possibly not Cherokee. But how I wish I knew the truth.